This is the same rein as our Western Leather reins, but they are enhanced with a 12” section of etched sunburst pattern antiqued silver spots several inches up from the buckle end. This makes for a very flashy yet tasteful look. Available in Med. Brown, Black, English Tan. 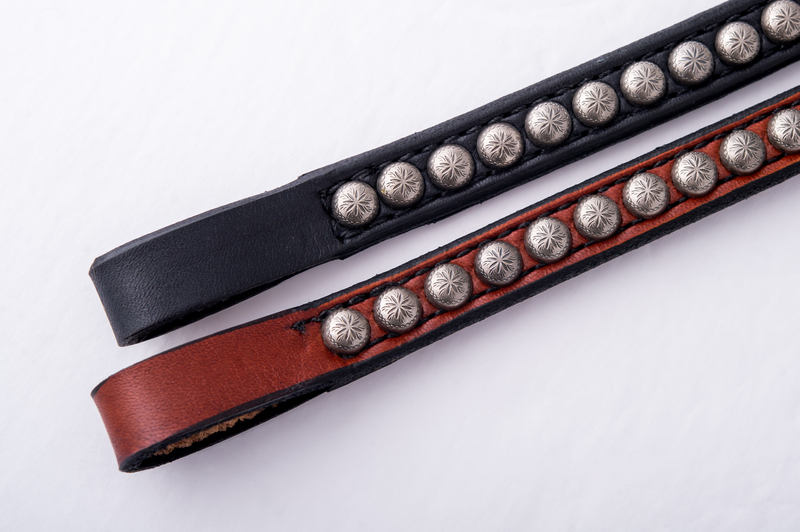 This is the same rein as our Western Leather reins (see for complete description), but they are enhanced with a 12” section of etched sunburst pattern antiqued silver spots several inches up from the buckle end. This makes for a very flashy yet tasteful look.